June is a month of celebration. After Ñejo’s birthday, the turn for cake, balloons and good music is for Gotay "El Autentiko" who’s celebrating his 32 years today. As a gift, we made a selección VP dedicated to five of his best tracks, perfect for a party, meeting, or simply to lift the mood of the day. Mentioning stuff like Nike, Versace, Dubai and Rolls Roice, this song retains in its lyrics the spirit of triumph and luxury that money brings, and for which it is worth celebrating without any doubts on how much is spent. This song is one of the most recent on this list. 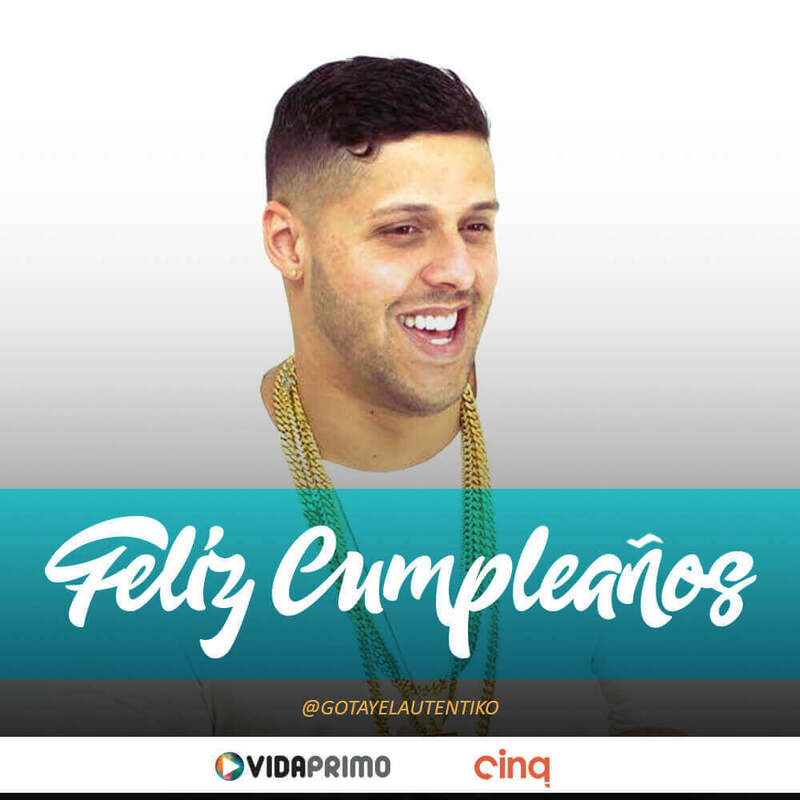 It was released after Gotay presented his album El Chamaquito de Ahora, and was produced by D'Note, Nekxum and Echo The Lab, through the company Autentik Music, with which Ñengo Flow has also worked, next to Gotay. This track is ideal for daring dedications. With Arcángel’s featuring, 'Lo de Nosotros' is essential to talk about the scope of El Autentiko’s musical career. It was produced by Millones Records, and had its video reléase in 2011. It currently has more than 19 million views on YouTube, and more than 1.5 million views on Spotify. VIDAPRIMO SUGGESTS: ‘Noche de Fiesta’: our Spotify exclusive playlist. El del vibrato was released in 2013, under the label Autentik Music Corp. This album is full of good beats, among which highlights this theme, titled 'Real love'. The video was produced by John Marcucci Films, and is full of bright scenes in color, full of nature and a fresh air that goes quite according to the song that accompanies it. The story seems to revolve around the loss of love, apparently due to his death. He expresses the frustration of not being able to know where he is, and to be sure he will not return, but to wish him anyway. Gotay's request for this video is that, whoever can return that lost person, will receive in return the 'Real love' that is singing. This song was released in 2010 and it’s part of El Autentiko mixtape. His producers were Alzule "El Bioquímico", a good friend of Gotay who’s also worked with other artists such as Tomy Nales, and Abner Cruz “El ingeniero”, who often works on many Kronak's productions. This track was produced by Yannc Full Harmony, with the support of Siggy Vazquez. It had as main collaborators Juanka El Problematik, D Ozi, El Sica and, of course, Gotay. The video was produced by Film or Die Productions, and focuses on the sporting and challenging scene of a football game. This song is the first single released by Full Harmony and, for the reception that has had between fans, it’s fundamental to know what Gotay has been doing in his last productions. Celebrate Gotay’s birthday listening to his best songs. Follow him on Facebook, Instagram and YouTube.